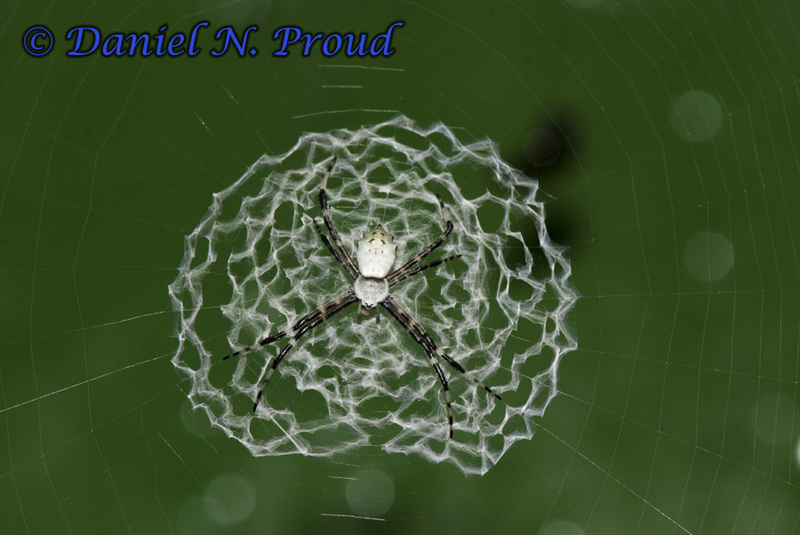 The next time you are outside in your garden or yard and you see a spectacular orb-web, just stop to think about the incredible spider capable of engineering such an intricate design. Look at it very closely. Perhaps you will see a thickened zig-zag pattern in the middle of the web. Or maybe you will notice one very large spider along with a smaller, but nearly identical, spider – a case of sexual size dimorphism, where the male is usually much smaller than the female. Maybe you will even get to witness the spider in the process of building the web! The orb-web you see was most likely built by a species of spider belonging to the family Araneidae, typical orb-weaving spiders. With over 3,000 described worldwide, the family Araneidae make up the third largest family of spiders after Salticidae (jumping spiders) and Linyphiidae (the sheet web spiders). Araneid spiders are grouped together with other closely related families of orb-weaving spiders in the superfamily Araneoidea. Examples of other orb-weaving families in this group include the Theridiidae (the cobweb spiders; this family includes the widow spiders), Nephilidae (includes the golden silk orb-weavers) and Linyphiidae (sheet web spiders). Below: A web built between two trees by an orb-weaving spider in Costa Rica. Some spiders build webs with a very noticeable thickened pattern (zig-zag, circular, spiral, X-shaped) near the center. This structure in the web is called a stabilimentum (seen in the following few photos) and was originally thought to add structural support (i.e., stabilize) the web, but this idea has received little support. The precise function of the stabilimentum is still up for debate, and there are several very good hypotheses each supported by some degree of empirical evidence. The stabilimentum may: help to make the web more visible to larger animals, such as birds birds and mammals, to prevent them from accidentally destroying the web; provide camouflage for the spider; make the spider appear larger; or attract prey species by reflecting ultraviolet light. There are also other theories as to the function. It is highly likely, however, that more than one theory is correct and that perhaps the stabilimentum has evolved to function in more than one way. 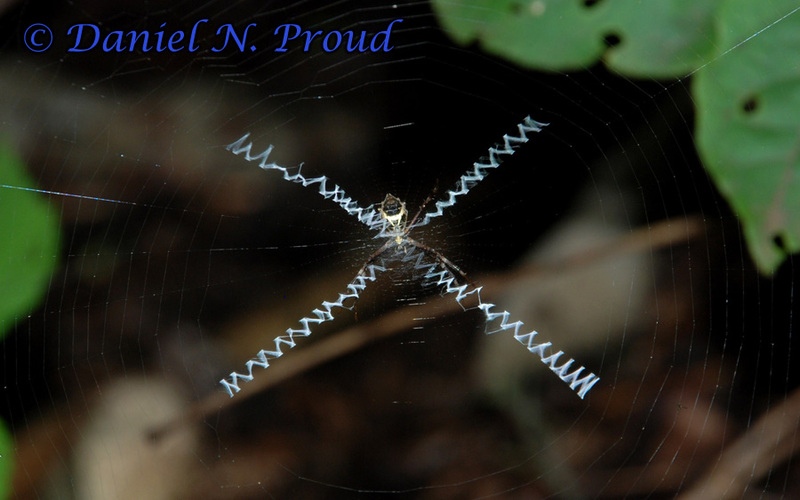 Below: Argiope savignyi building a circular stabilimentum, La Selva Biological Station, Costa Rica. 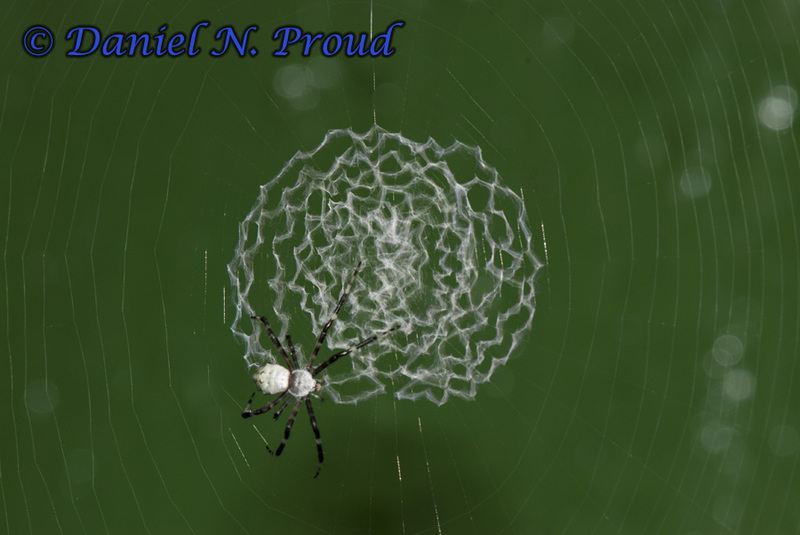 After building the stabilimentum the spider moved to the center of the web and remained still. It is quite obvious how the stabilimentum in this case makes the spider appear larger as well as camouflages the white body of the spider. If you saw this web from a distance you would also notice how the web is effectively made more visible to our eyes and this might prevent, say, a bird from flying into it. Below: This stabilimentum is X-shaped and when the spider is at rest its legs also assume this same shape, once again showing that camouflage might be a factor. Here are some other spiders of the family Araneidae to show the great diversity of this family! 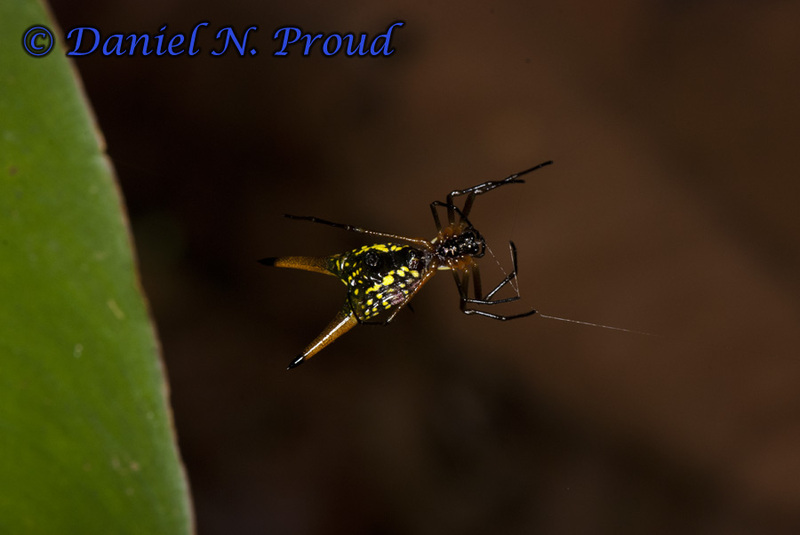 Below: Micrathena sp. from Costa Rica. These spiders are great to have outside your house and around the garden as they act as a biocontrol, providing a natural way of managing insect populations. 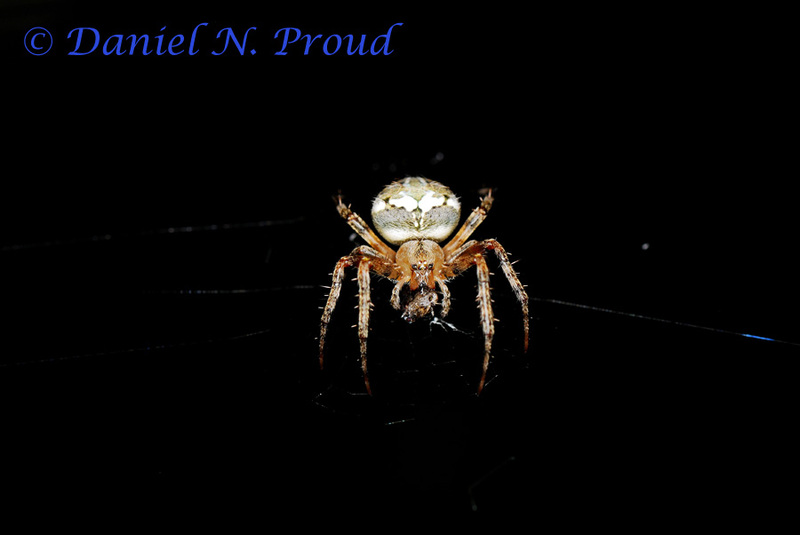 Below: An araneid spider eating an insect, Lafayette, Louisiana, USA. 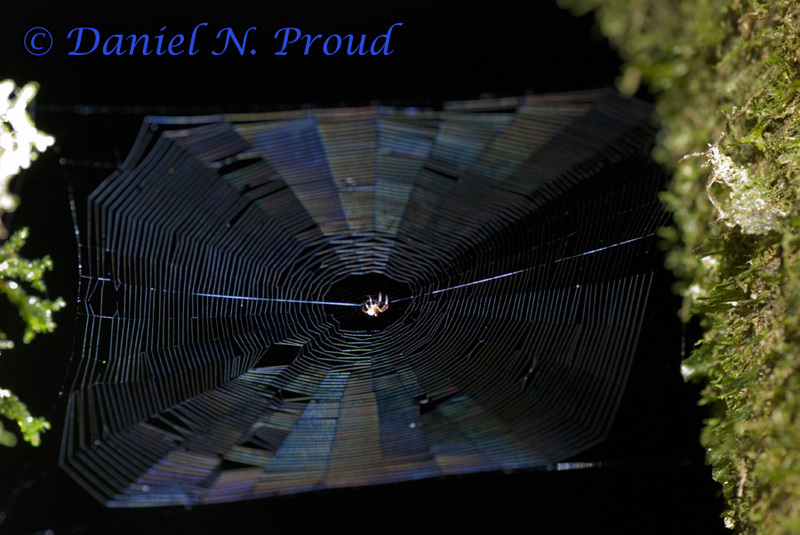 Below: An araneid spider on a radial line near the edge of the web, Price Lake, North Carolina, USA. The next time you are outside and see an orb-web take a closer look. And give these fascinating animals some credit! This entry was posted on July 9, 2012 by Dan Proud. 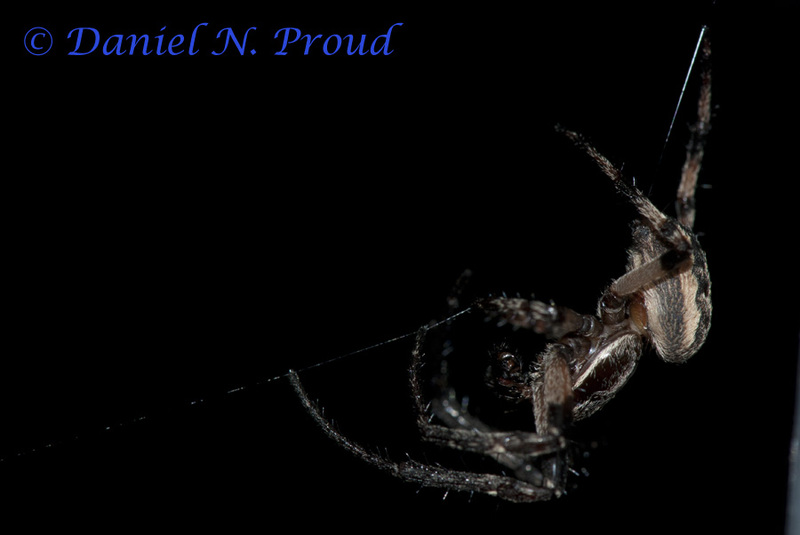 It was filed under Arachnid and was tagged with nature, orb weavers, Photography, Spider, spider web.